Phil & Teds Go Pushchair is a lightweight pushchair that is perfect for parents with limited storage space or who enjoy city life. A small pushchair with some big features. Why should I choose the Phil & Teds Go Pushchair? The Phil & Teds Go Pushchair is extremely lightweight, weighing in at only 5kg. Although it is a compact pushchair, it is still suitable from birth up to 4 years. With multiple seat recline positions, you can always find the best position for your baby. You will both enjoy a smooth ride thanks to the EVA puncture proof tyres. 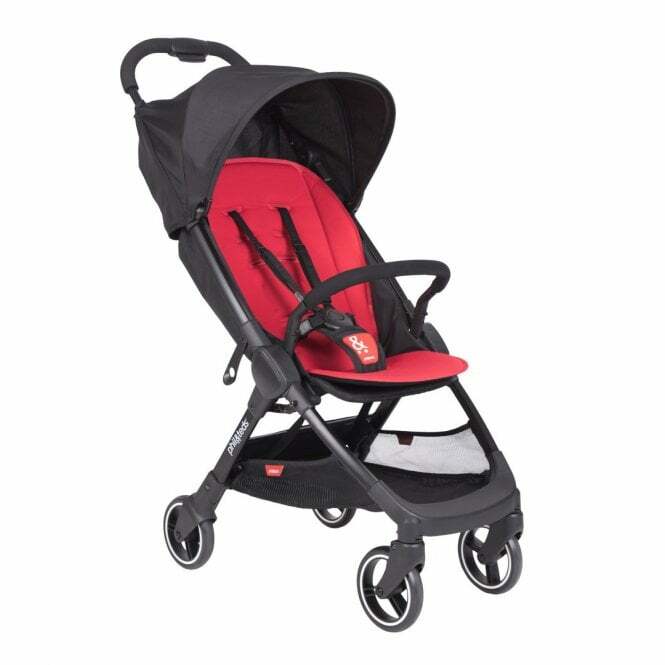 Protection for your baby is provided by the UPF50+ sunhood and parental convenience is an added feature of the Phil & Teds Go Pushchair thanks to the under seat storage basket which can hold up to 5kg of essentials. The Phil & Teds Go Pushchair has a fast folding frame and a very convenient carry handle which makes transporting it simple too. Phil & Teds Go Pushchair can be converted into a travel system due to its compatibility with the Phil & Teds Alpha Car Seat (sold separately). What are the specifications of the Phil & Teds Go Pushchair? Unfolded dimensions (HxWxL) : 103x44x82cm / 40.5x17x32"
Folded dimensions (HxWxL) : 54x44x19cm / 21x17x7"
Seat width : 32cm / 12.5"
Seat back length : 67cm / 26.3"
Head clearance - seat to hood : 67cm / 26.3"